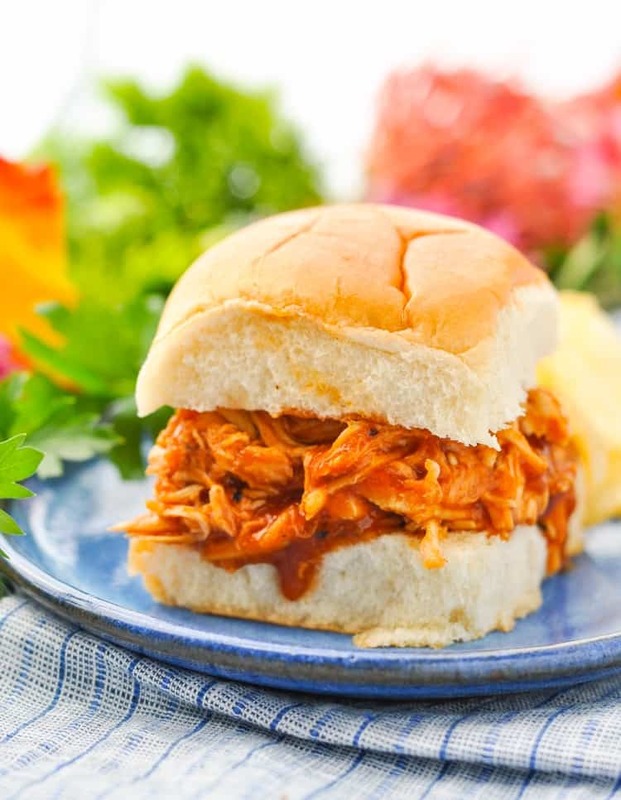 This recipe for Slow Cooker Pulled Barbecue Chicken was originally published in September, 2013. The photos were updated in September, 2017. It’s hard to believe that Baby Boy #3 will be here in about 6 weeks! We’re so excited, but also fully aware of the chaos that is about to take over our home. As a result, I’ve been doing as much as possible to get ready for this baby in advance. A large part of the preparation? Freezer meals! I’ve spent the past month or two making extra portions of some of our favorite freezable dinners so that I have a nice stockpile when my little one arrives. 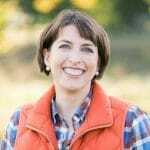 After all, I know that I will not be interested in cooking three meals a day when I’m sleep-deprived and caring for three boys under the age of 4! 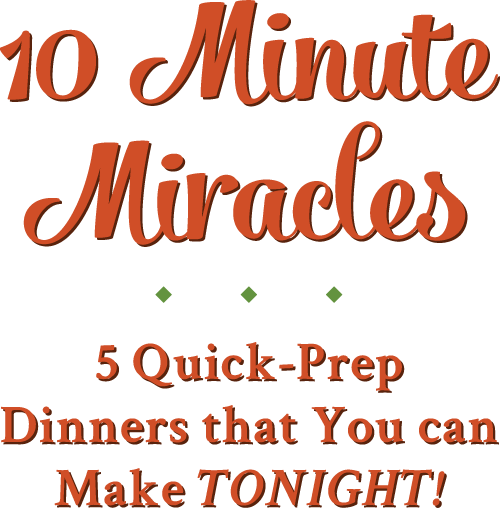 Throughout the week I will be sharing some of these freezer meals with all of you, as well as some of the other items on my pre-baby To-Do List. Even if you’re not expecting a newborn in the next couple of weeks, it never hurts to have a few extra meals stored away for some of your busiest weeknights! 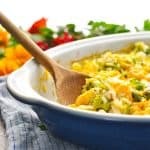 Plus, homemade freezer dinners like these also make great gifts for any family — whether they are dealing with a newborn, an illness, travel, or just a very hectic schedule. The first freezer meal of the week? 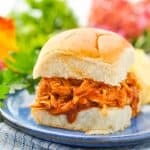 Slow Cooker Pulled Barbecue Chicken! 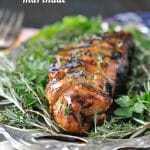 This is a great year-round freezer meal because it keeps well and it doesn’t require the outdoor grill. 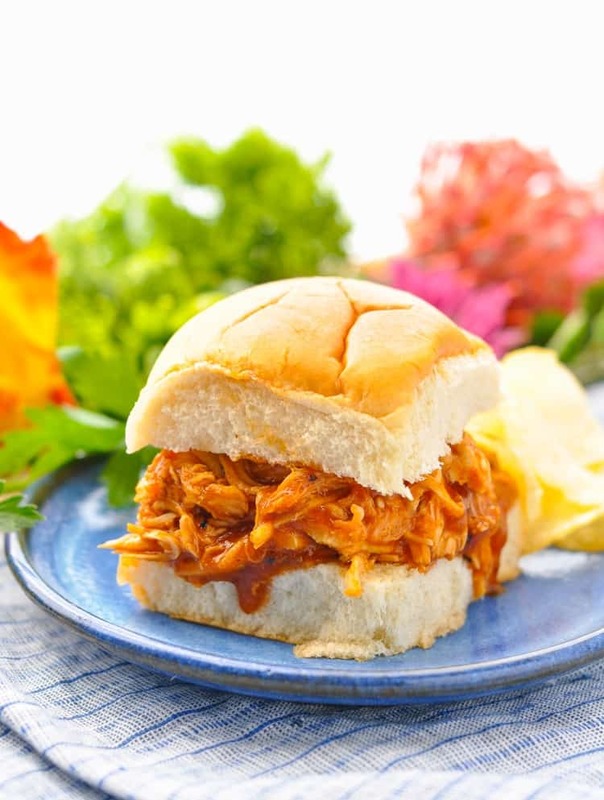 You can enjoy the taste of barbecue chicken, even in the middle of winter! Bonus! The little ones even love these sandwiches! This idea came from my sister-in-law, who made a similar dinner when we were visiting a couple of years ago. 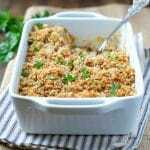 With many small children to keep track of, this was an easy way to get a tasty and healthy meal on the table without spending too much time in the kitchen. Jackie served it with oven-roasted sweet potatoes and coleslaw from the deli. I love that the recipe is so simple and requires very few ingredients. I return to this meal regularly and everyone enjoys it. 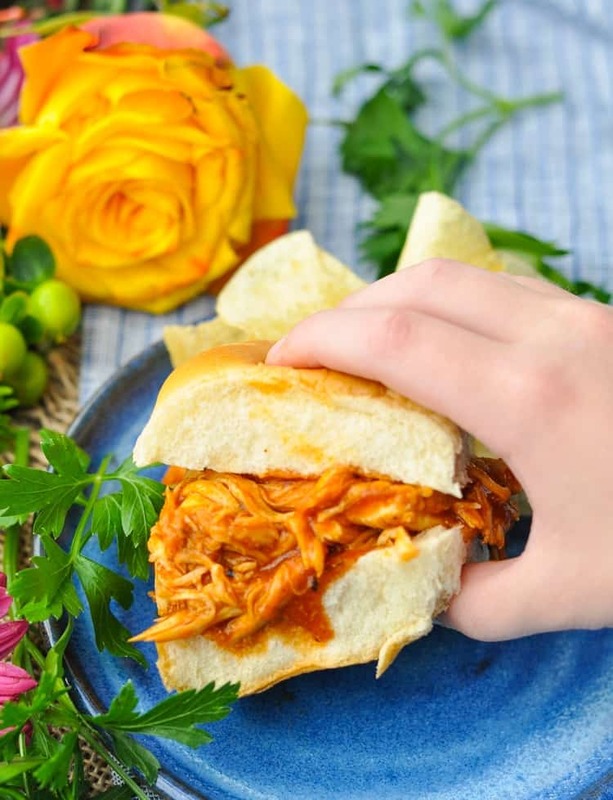 Best of all, the left-over meat can be reheated and used in sandwiches or in barbecue chicken quesadillas, too! Just before serving, remove chicken from cooker and place on a cutting board. Shred the chicken by pulling it apart with two forks. Place the chicken back in the cooker, stir, and warm through. Serve on top of sandwich buns. 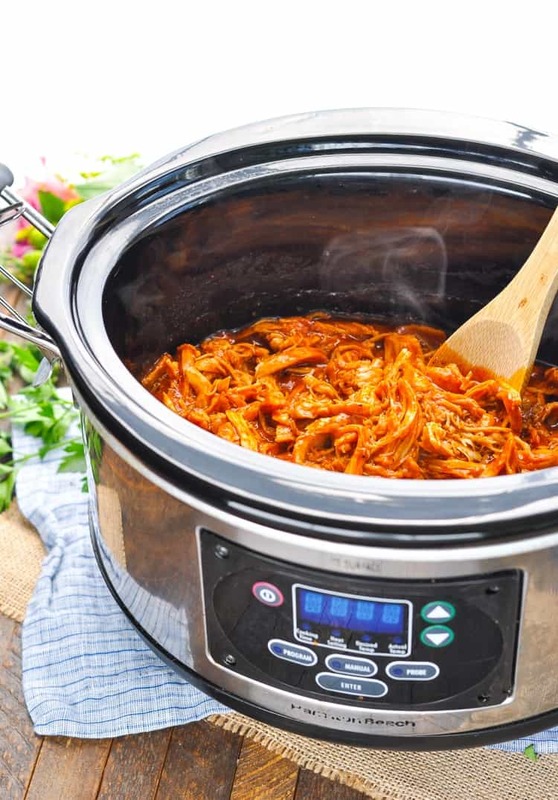 *All slow cookers run at slightly different temperatures, so be sure to keep an eye on your chicken as it gets to the end of the cooking time. My chicken is definitely done after just 3 hours on HIGH. You don't want to cook the chicken breasts for too long or they might dry out. *Leftover cooked chicken freezes well, too! 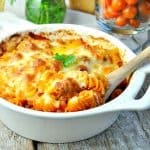 Love slow cooker meals Blair and this one looks fabulous – pinned! Thanks, Trish! I hope that you all love it!